Today, the price of gold is similar around the world. Gold is traded somewhere every hour, every day. Hong Kong, Zurich, London, and New York markets are recognized as the world’s four major gold markets, and they serve as an index for gold prices. In addition, there are other gold markets, including those in Tokyo, Sydney, and Dubai. There are significant time differences between the cities where the world’s major exchanges are located. During the trading hours of the Japan and Hong Kong exchanges, those in Europe and the United States are closed for the night. About the time that trading in Japan ends, the Zurich market opens for the morning, to be followed by that of London. At midnight in Japan, trading begins in New York. The quoted rate for countries in the Far East region, including Japan, affects market prices in Europe and the United States, and their rate in turn influences the markets of the Far East the following day. Gold is always being traded somewhere in the world. In these gold markets, we mainly engage in spot trading. The gold price that we release to customers at 9:30 every morning is determined in reference to the quote of the Sydney market. We announce gold prices four times per day to customers, each time translating the dollar-denominated prices of the overseas Sidney market into yen. Japan is the source of slightly less than 20% of the world’s total platinum demand. Of that amount, slightly more than 40% is used for accessories (Source: Johnson Matthey Platinum 2010). Why are platinum accessories so popular in Japan? Junichiro Tanaka, our third company president, answered that, "The popularity of platinum accessories in Japan was a trend started by geishas." Geishas are prosperous while young, but they must save money for retirement. However, asking men directly for money was considered greedy, so they finally came to coax men into buying them accessories made of precious metals, which were easy to sell off later. Of course, gold accessories could have served the same end, but geishas did not favor the bad taste of the newly rich, and instead chose platinum, which was modest in appearance but even more expensive than gold. Further, platinum could be used to emphasize jewelry such as diamond. In this way, as more geishas began to use platinum kanzashi (an ornamental hairpin), obidome (an ornamental clasp for holding an obi in place), rings, etc., the trend gradually spread among upper-class women. The history of our company dates back to 1885, when at the age of 32 Umekichi Tanaka, the founder of Tanaka Precious Metals Group, opened Tanaka Shoten, the money changer, in Kitajima-cho, Nihonbashi-ku (currently, Kayabacho in Tokyo’s Nihonbashi). Its business was wrapping one sen (1/100 yen) and five sen copper coins with paper in units of 100 yen, which were sold to merchants for a fee of two to three sen per 100 yen package. These small coins were the offerings made to shrines and temples. Umekichi moved several hundred kan (100 kan = 375 kg) of these coins at once by using a cart, daily departing in the middle of the night from the shrines and temples. It was hard work to pull such a heavy cart before automobiles became available in Japan. Before Umekichi became a money changer, he worked as a head clerk at Ejima-ya, the famous pawnbroker of the Edo era, before becoming independent. After working as a wholesale rice dealer, he transitioned into buying gold and silver. That business was to buy rings, kanzashi, and other accessories from households and then sell them to precious metal bullion dealers. 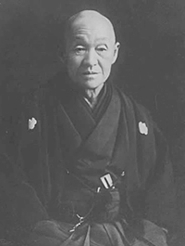 Zenjiro Yasuda, the founder of Yasuda Bank (the current Mizuho Financial Group), was Umekichi’s business partner, and our long relationship with Mizuho, our main bank, has continued since that time.